The 83rd Academy Awards ceremony, organized by the Academy of Motion Picture Arts and Sciences , honored the best films of 2010 in the United States and took place on February 27, 2011, at the Kodak Theatre in Hollywood, Los Angeles beginning at 5:30 p.m. PST . During the ceremony, Academy Awards were presented in 24 competitive categories. The ceremony was televised in the United States by ABC, and produced by Bruce Cohen and Don Mischer, with Mischer also serving as director. Actors James Franco and Anne Hathaway co-hosted the ceremony, marking the first time for each. 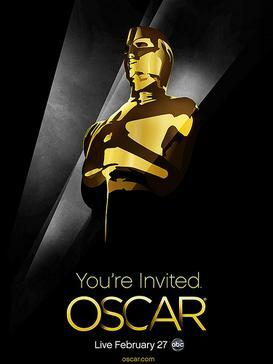 The 83rd Academy Awards ceremony, organized by the Academy of Motion Picture Arts and Sciences (AMPAS), honored the best films of 2010 in the United States and took place on February 27, 2011, at the Kodak Theatre in Hollywood, Los Angeles beginning at 5:30 p.m. PST (8:30 p.m. EST). During the ceremony, Academy Awards (commonly called the Oscars) were presented in 24 competitive categories. The ceremony was televised in the United States by ABC, and produced by Bruce Cohen and Don Mischer, with Mischer also serving as director. Actors James Franco and Anne Hathaway co-hosted the ceremony, marking the first time for each. In related events, the Academy held its second annual Governors Awards ceremony at the Grand Ballroom of the Hollywood and Highland Center on November 13, 2010. On February 12, 2011, in a ceremony at the Beverly Wilshire Hotel in Beverly Hills, California, the Academy Awards for Technical Achievement were presented by host Marisa Tomei. Inception and The King's Speech won four awards each, with the latter film winning Best Picture. Other winners included The Social Network with three awards, Alice in Wonderland, The Fighter, and Toy Story 3, with two awards, and Black Swan, God of Love, In a Better World, Inside Job, The Lost Thing, Strangers No More, and The Wolfman with one. The telecast garnered almost 38 million viewers in the United States. Kirk Douglas presenting Melissa Leo with the Oscar® for Best Supporting Actress for her performance in "The Fighter" at the 83rd Academy Awards® in 2011. Academy of Motion Picture Arts and Sciences President Tom Sherak and 2009 Oscar winner Mo'Nique announced the 2011 Oscar nominations.